In honor Sony/ATV songwriter Ilsey Juber's recent smashes "High Hopes," which recently went #1 at Pop radio for Panic! 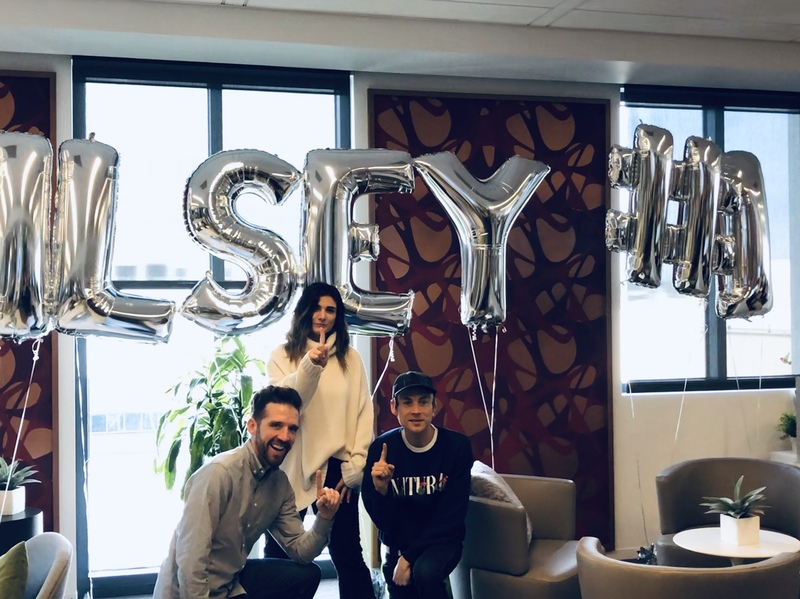 At The Disco and Mark Ronson & Miley Cyrus' "Nothing Breaks Like a Heart," SATV VP, Creative Tyler Childs, Juber and manager Evan Taubenfeld took turns sucking the helium out of the requisite party balloons. Later, Evan served some smoked kippers, which were paired with a lovely Sauternes. "High Hopes" has been the number one radio song overall in the U.S. for the past 10 weeks.